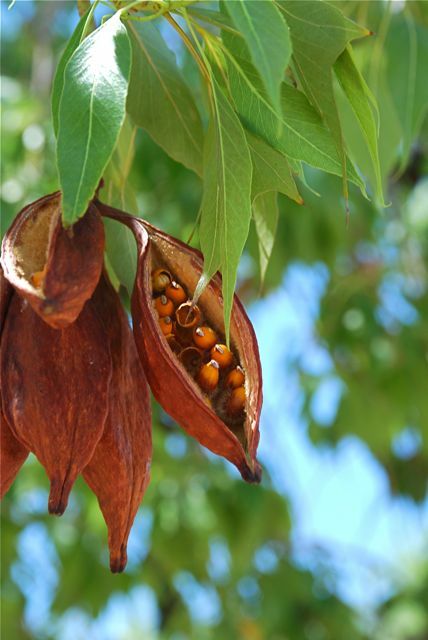 Did you recognize the bottle tree seeds last week? 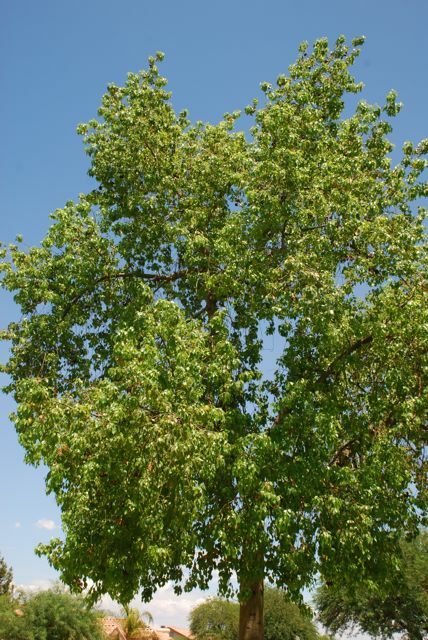 Then you might be from Australia, where the bottle trees, Brachychiton populneus, are from originally. 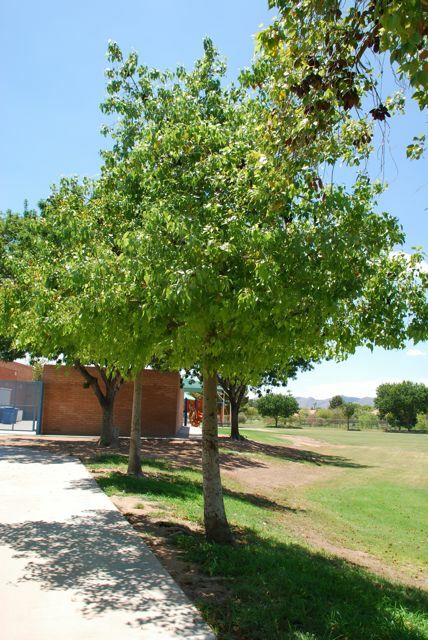 Here in the Sonoran desert we grow them as landscape trees. The seeds form in these boat-like pods that are fascinating to children. Watch out though, they are filled with irritating, itchy hairs. 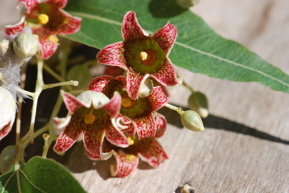 The flowers of the bottle tree are bell-shaped. 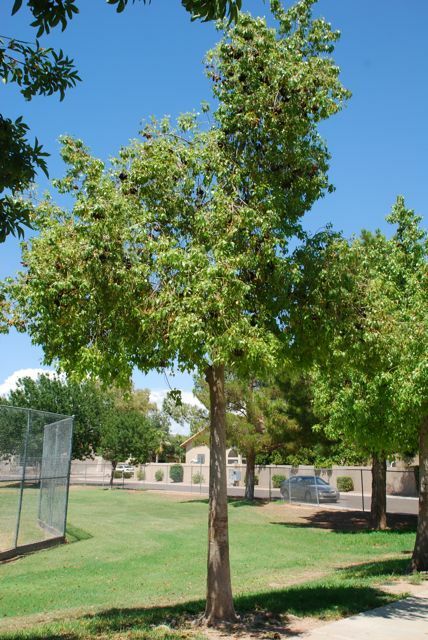 The tree gets its common name from its odd growth habit when young. Often the top is narrow and then it spreads out like a bottle. Here in Arizona the shape is incredibly variable. They do tend to fill in nicely when mature. The leaf shape is also extremely variable, ranging from round to triangular to having three sharp points. 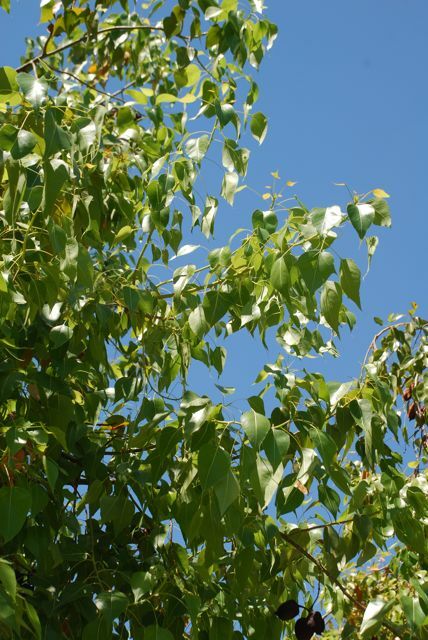 Mostly the leaves resemble a poplar, hence the species name, populneus. Have you seen a bottle tree? Can I use your photograph of the bottle tree seeds and leaves on your August 10, 2010 in a book that I am writing of contemplations? If yes, could you email me a high quality jpg for print as well as who I should attribute it too? Thank you. Kathyrn, I will contact you via e-mail.